Ben Platt, once a student of ADDERLEY for 10 years, is an American actor who recently took home the Tony for “Best Actor in a Musical” for his work in DEAR EVAN HANSEN on Broadway. He is also known for his work starring as Benji in the film PITCH PERFECT and Elder Cunningham in THE BOOK OF MORMON on Broadway. Commercial, TV and film roles helped Jack win his first lead in the feature film, SCALES. His role as “Eddie” in Stephen King’s feature film IT marks Jack's first studio picture. He starred in the CBS sitcom ME, MYSELF & I, and will play Freddy Freeman in DC Comic's upcoming film, SHAZAM . Sarah Jane Highland, was coached by Janet Adderley when she played the role of Molly in the 1999 film remake of Annie. She is best known for her role as oldest sibling, Haley Dunphy, on the ABC sitcom MODERN FAMILY. Gigi Hadid has graced the pages of Elle, Grazia, Cleo, Vogue and Sports Illustrated. She was the face of GUESS jeans in 2012 and appeared on the cover of GALORE magazine in Carine Roitfeld’s CR Fashion Book, 2014. Dakota Lotus essentially grew up in THE ADDERLEY SCHOOL, starting classes at only 5 years old. In 2018 he was cast in the starring role of Cooper in the Disney Channel's new show COOOP AND CAMI ASK THE WORLD. Janet Adderley, his coach and mentor, has joined him on set as the acting coach for the kids in the show. Cody Getzug was on the National Tour of SPRING AWAKENING and joined the First National Tour of THE BOOK OF MORMON as the standby for Elder Cunningham in April of 2015. He joined the Broadway company for THE BOOK OF MORMON in May 2016. 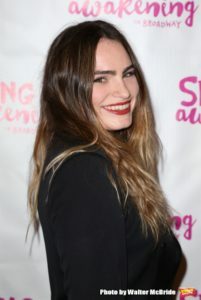 Kathryn made her broadway debut in Deaf West’s SPRING AWAKENING as the voice of Martha and recently starred in the premier of JAGGED LITTLE PILL at The American Repertory Theatre. Stephanie made her Broadway debut as Young Cosette in LES MISERABLES while she was studying at The Adderley School. Jesse Zwick is a head writer on the hit TV Series, PARENTHOOD. 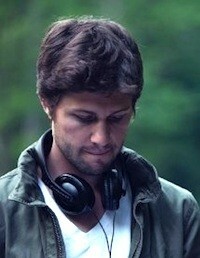 He also wrote and directed the indie film, ABOUT ALEX, starring Max Greenfield and Aubrey Plaza. Jack Quaid, ADDERLEY Alum and actor, attends NYU and portrayed Marvel in the 2012 science fiction hit, THE HUNGER GAMES. 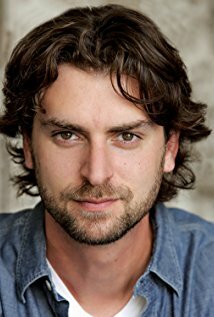 Josh Breslow is known for his work on Jack Reacher: Never Go Back (2016), Trial by Fire(2018), Nashville (2018) and Love & Other Drugs (2010).